Rolls-Royce is one of the most luxurious manufacturers in the world. Jon Olssen is a world famous professional skier, Gumball legendary and radical tuner. Combine the two and you end up with this monster. George (I am aware it’s not a scary name). Jon Olssen has previous when it comes to creating insane tuned cars (the infamous Audi Estate being stolen and burnt to the ground) but this is the first time modifying a Rolls Royce. 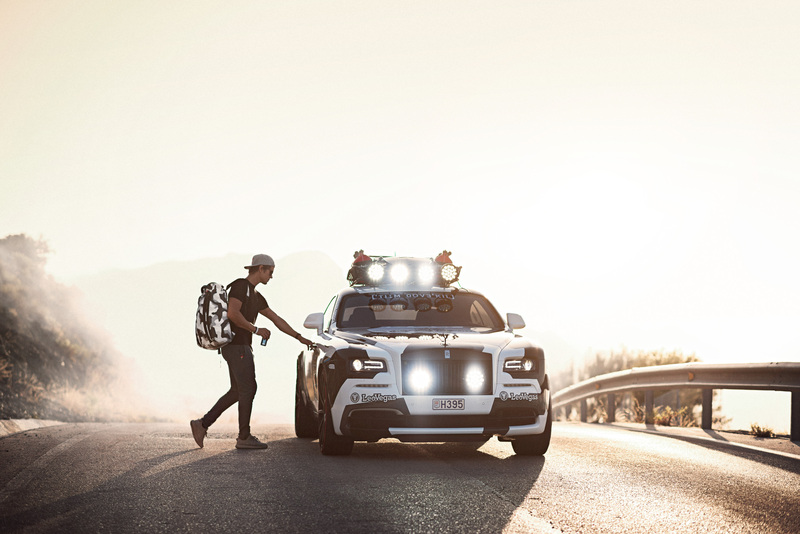 The Wraith he decided to turn his attention on is a step away from his usual portfolio of tuned cars (GT-R, Audi R8, Lamborghini Gallardo, Murcielago SV and a Le Mans-style prototype race car). Those were all built for speed whereas the Wraith, not so much. The Rolls has the usual Olssen signatures of the camouflage wrap, upgraded engine and outlandish features. The Wraith is not a slow car with a 6.6-litre, twin-turbo V12 with 624bhp and 590lb ft of torque but Olssen modified the engine to give 810bhp. He also removed the standard exhaust with a bespoke system to let the normally mute V12 roar. He has also added a magnetic roof rack, six LED fog lights and 24-inch wheels. Make up your mind whether it a good idea or not but there’s no doubt it is definitely the world’s most extreme Rolls-Royce…..called George. This entry was posted in Youtube and tagged Rolls Royce.